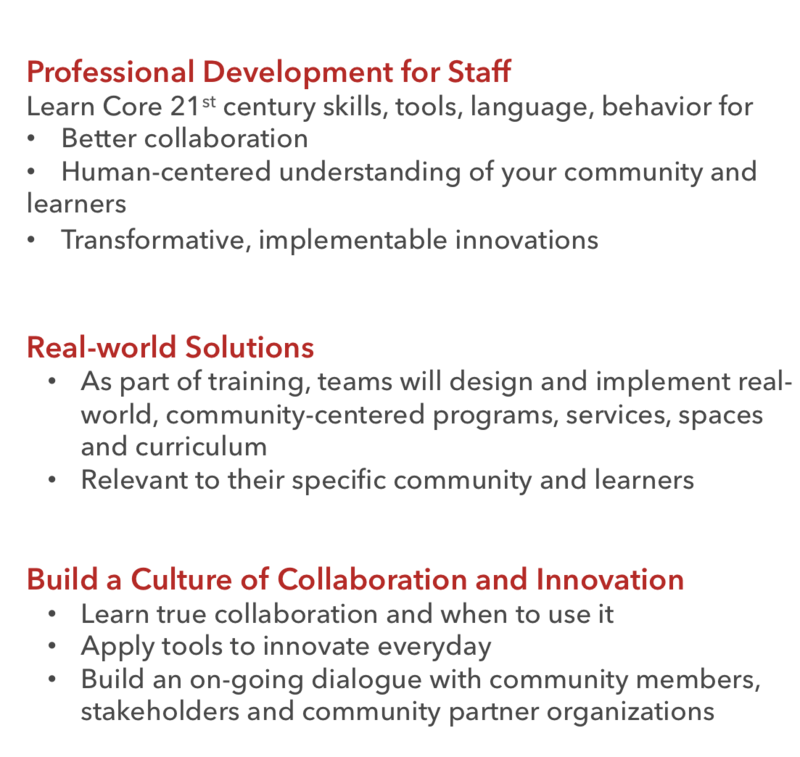 For 20 years, we have trained diverse teams in business on how and when to collaborate, how to adopt the character of collaborative innovators and how to use the tools and processes required for innovation and transformation. Many of our clients used this training to establish full innovation departments in their organizations. 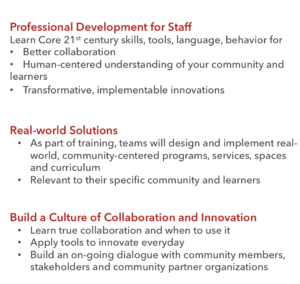 As Innovation Builders, we adapted these successful programs to be relevant to the public sector, creating the EXCITE Transformation Professional Development program for libraries, education, cultural arts and non-profits. Make sure to look at our new EXCITE Transformation for Libraries program. 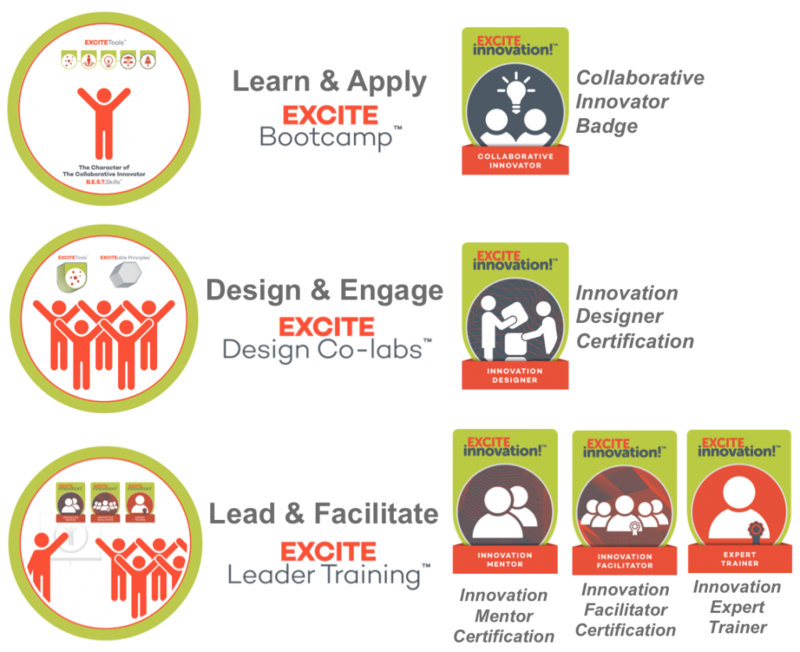 EXCITE Transformation provides three levels of learning, each with a series of digital badges and certifications for these core 21st Century skills.